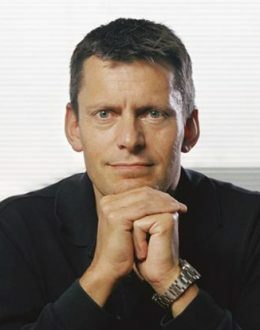 Martin Glenn has been appointed as the Football Association Chief Executive Officer in May 2015. Glenn, 54, is a veteran of industry and has built up a reputation for making well-loved British brands more dynamic, competitive and international in their reach. Until May 2105 Martin was CEO at United Biscuits, a £1bn company which is home to the McVitie’s and Jacobs brands and with a rapidly growing international division. He came to prominence during his time at Walkers Snack Foods in 1992, enlisting England’s second greatest goal scorer of all time, Gary Lineker, to play a key promotional role in his marketing campaigns. Having increased Walkers’ market share from the mid-20s to more than 60%, he became company President in 1998 and ran the business till 2006, when he left to join Birdseye, which had been acquired from Unilever for £1.2bn. In 2003, he was awarded Marketing Week’s CEO of the Year, and in 2004 was voted the UK’s most influential marketer by Marketing Magazine. Glenn has also worked for Cadbury Schweppes, Mars and Deloitte, and is President of the Marketing Society, having started a two-year term in January 2014.